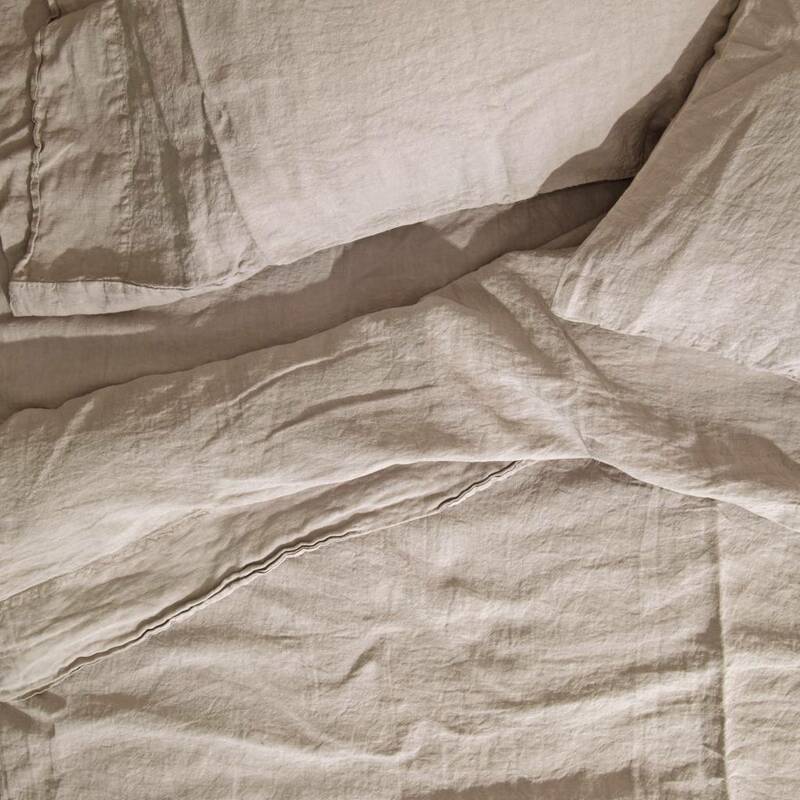 Made of Belgian linen, finished, woven and stonewashed in Portugal to achieve a relaxed, lived in look. 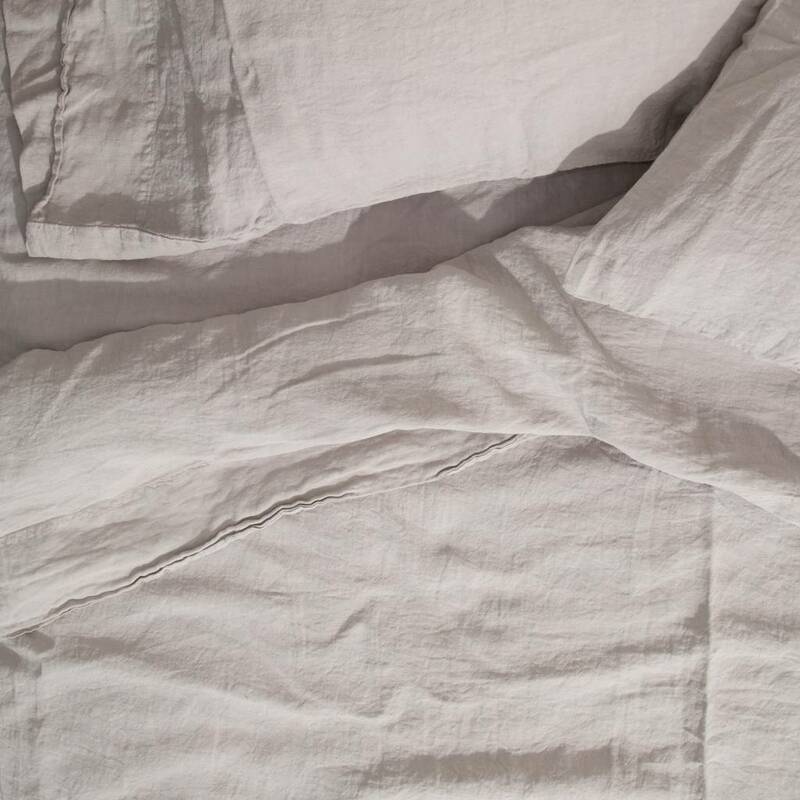 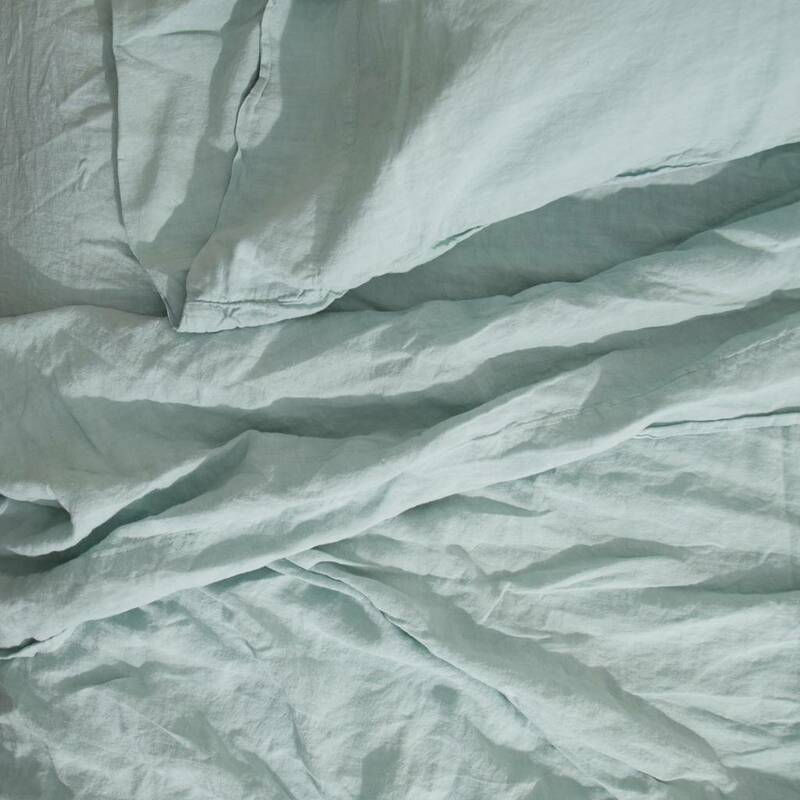 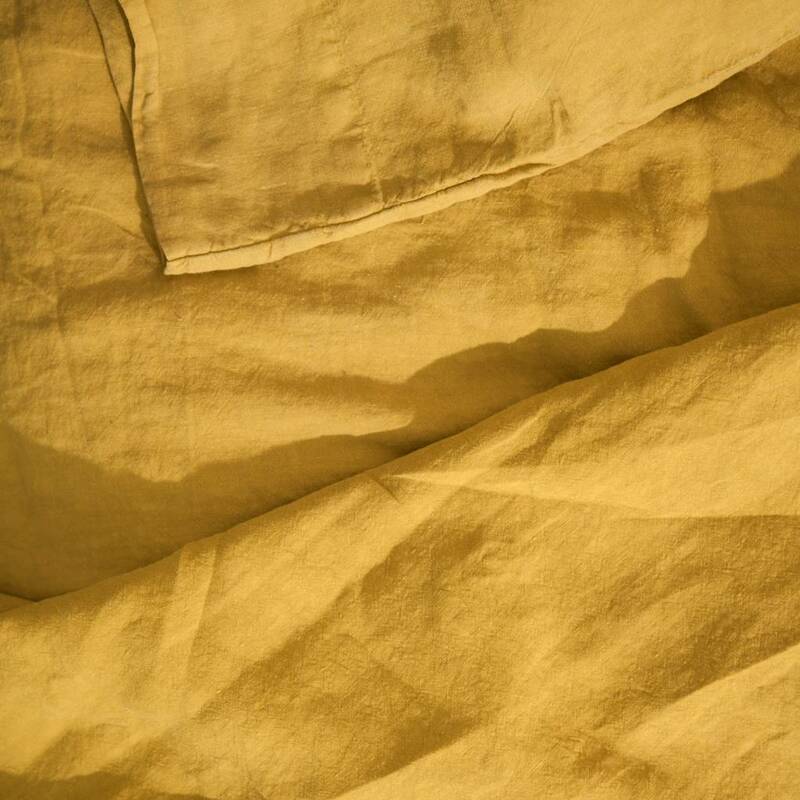 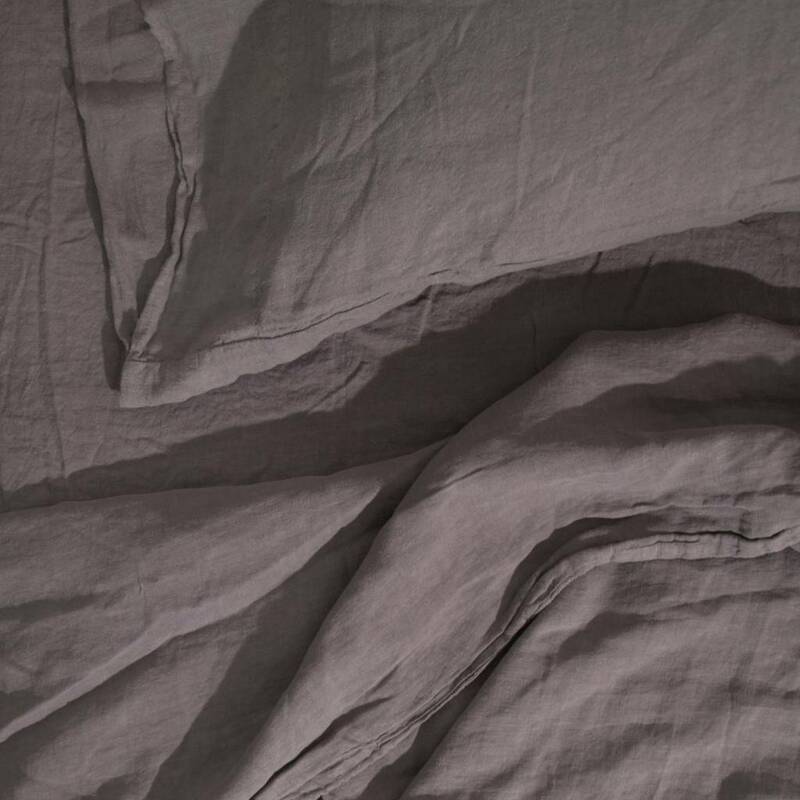 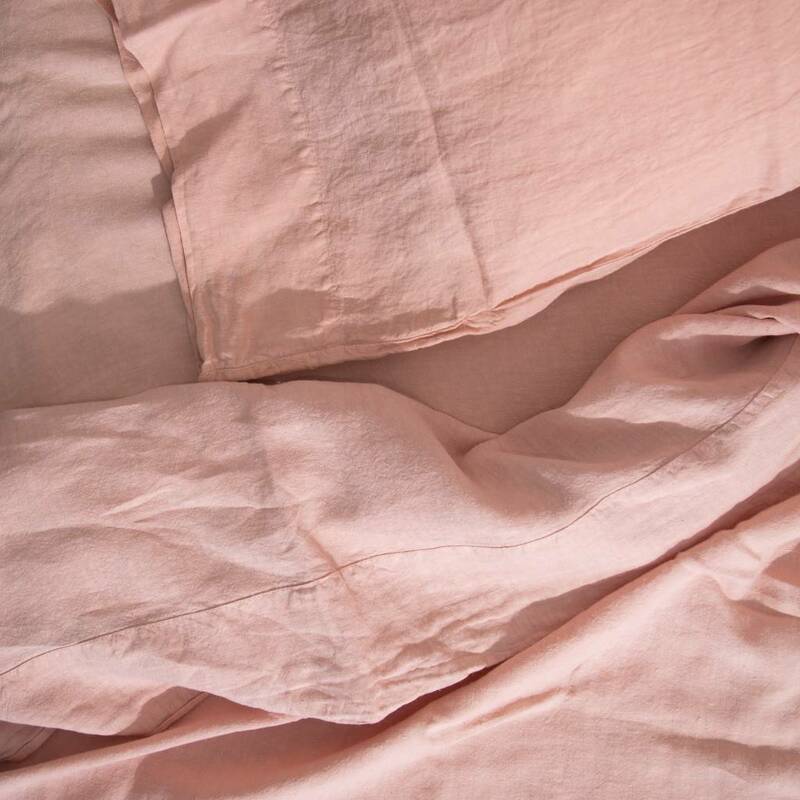 Linen is optimal for bedding as it is both breathable and soft, keeping you cool in the summer and warm in the winter. 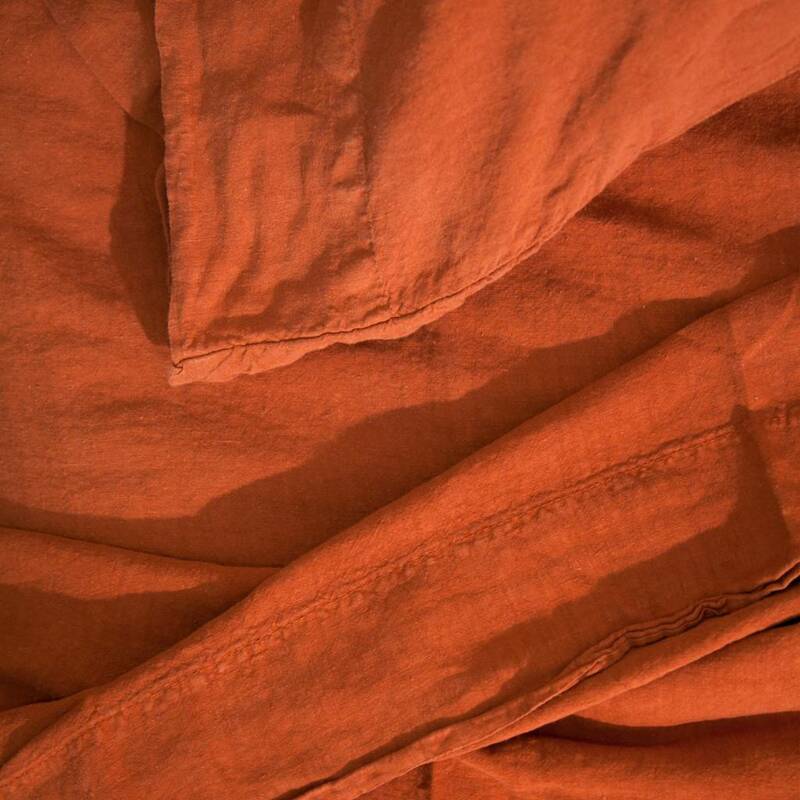 Sizing is generous, and details are kept simple. 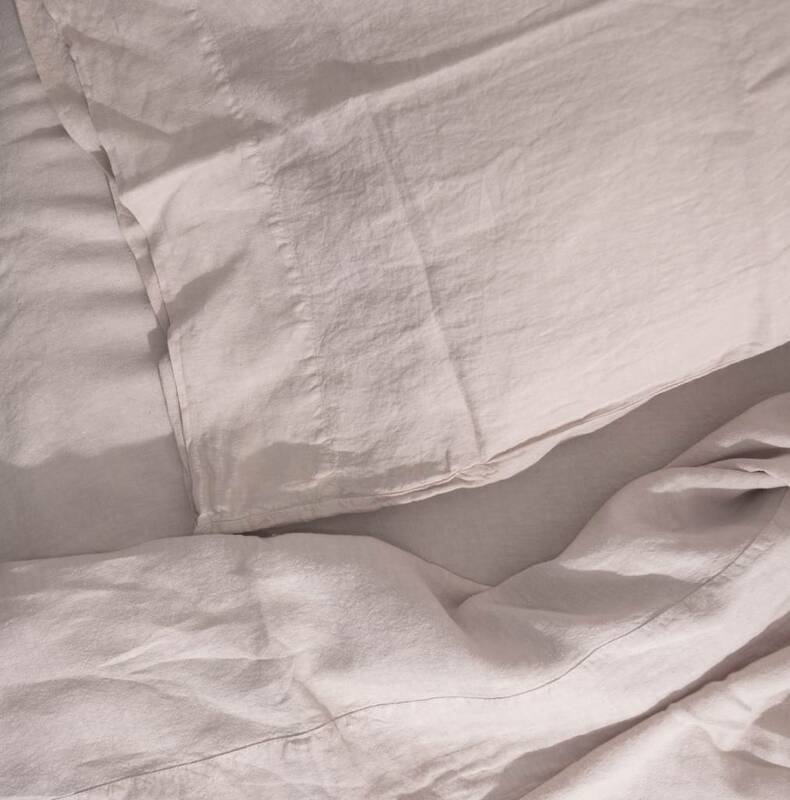 The fitted sheets are designed for deep mattresses, but have elastic around all four sides to accommodate most mattress depths. 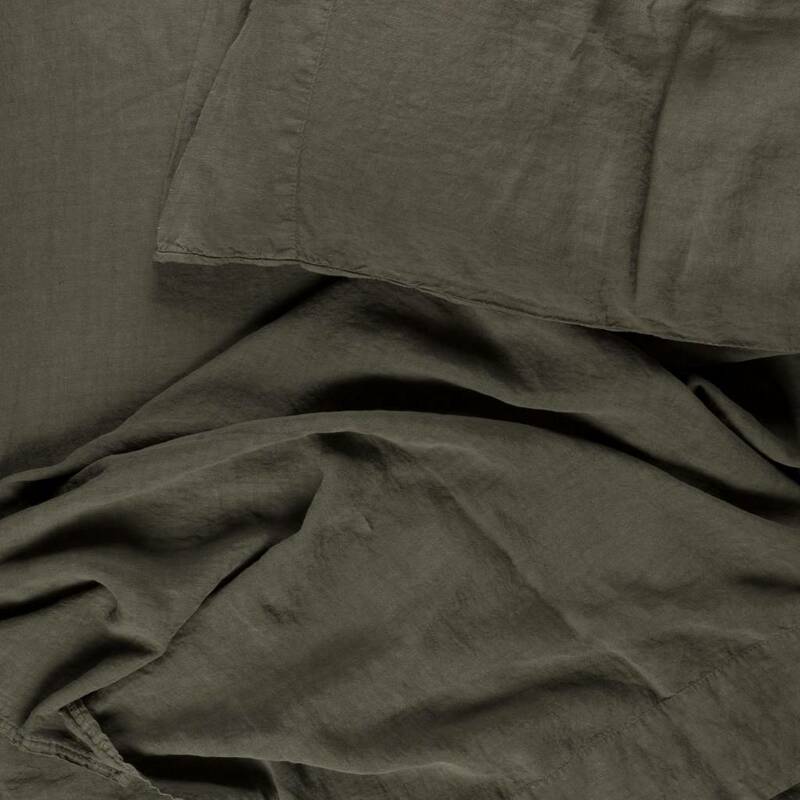 The entire Simple Linen Collection is available in Queen or King sizing, in twelve color ways, and is sold open stock to allow for mixing and matching of colors. 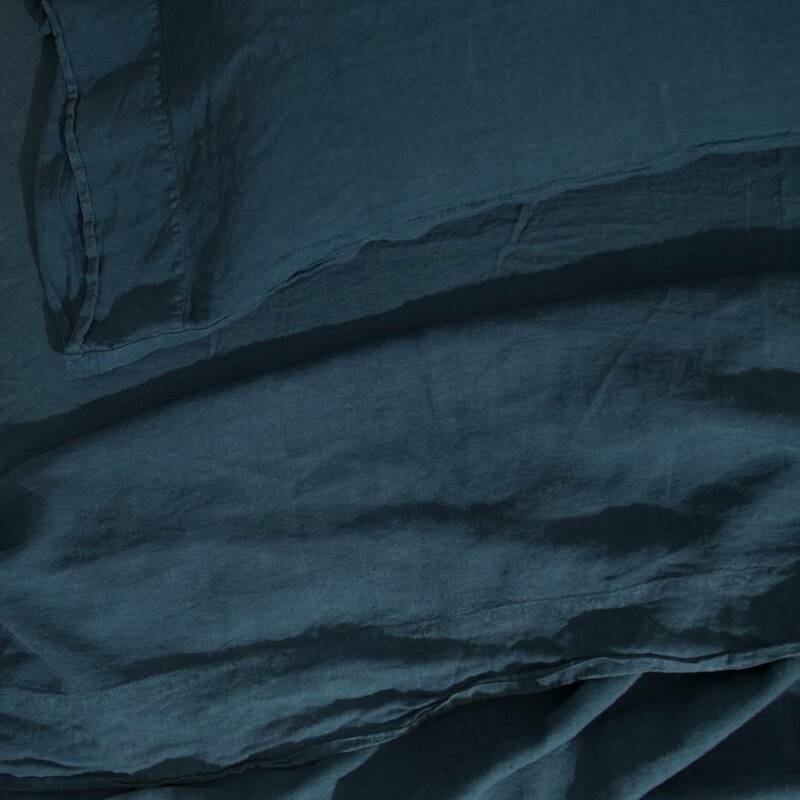 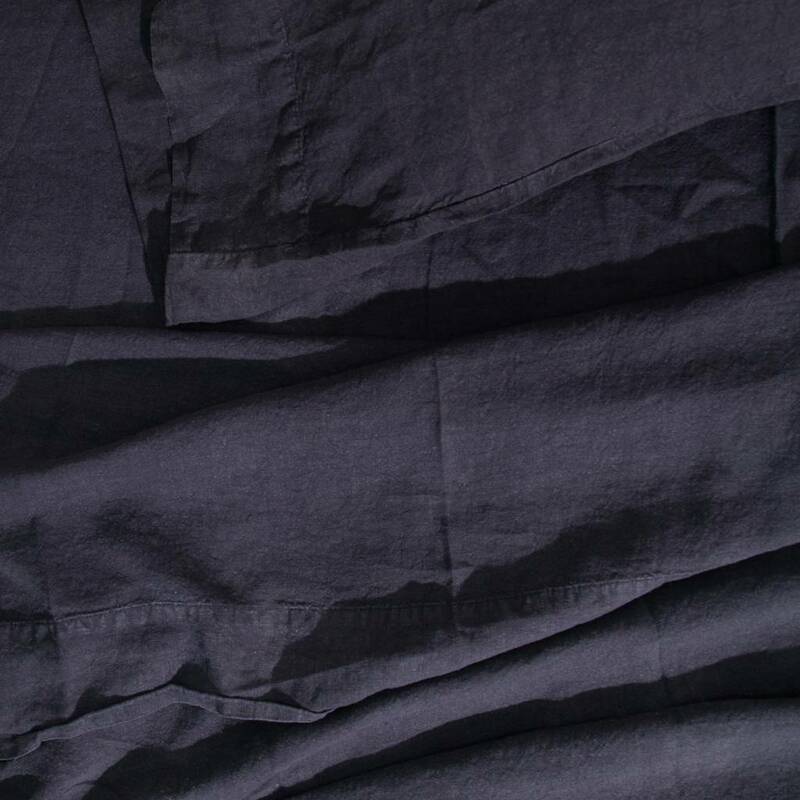 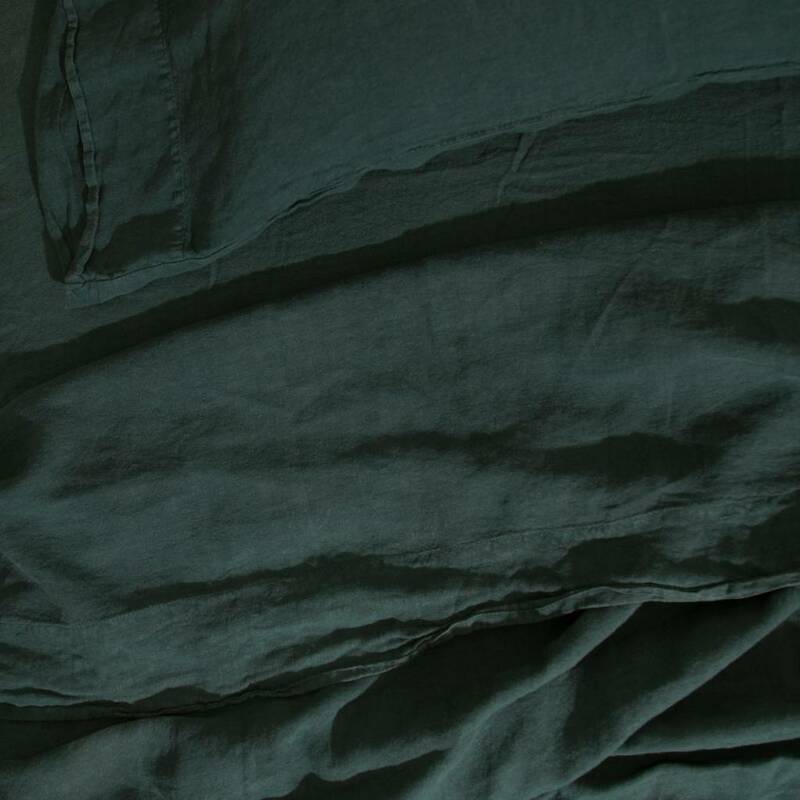 Queen Size Fitted Sheet: 60 x 80"
King Size Fitted Sheet: 78 x 80"